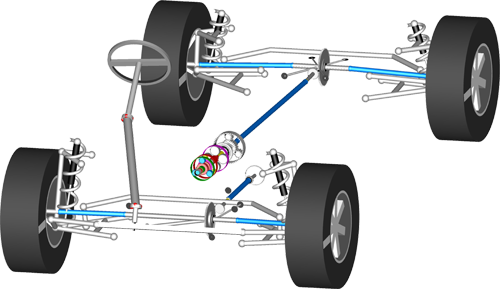 The Powertrain Dynamics library is a Modelica library for modelling rotating MultiBody systems like automotive powertrains. It has been designed to provide a convenient modelling methodology and deliver efficient simulation of these complex systems. 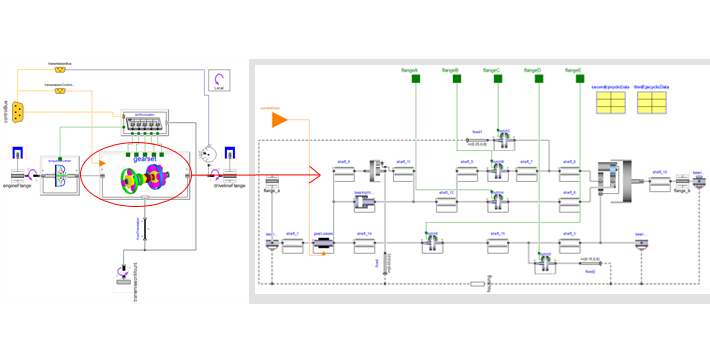 The models support the full design cycle using simple 1D representations for concept evaluation that easily evolve into detailed MultiBody models for detailed analysis. 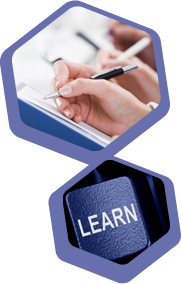 Animation is included in all the parts to aid understanding of the system dynamics. 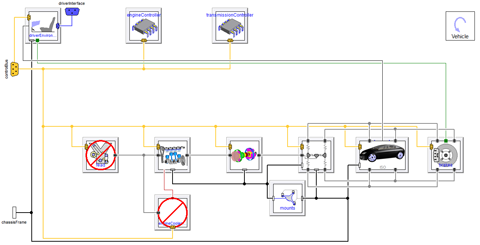 The library uses standard Modelica connectors and is compatible with all the other Automotive libraries available for Dymola. 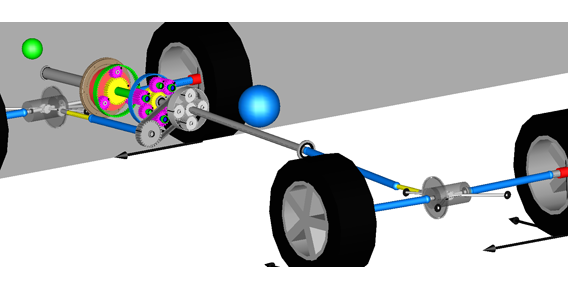 Detailed powertrain modelling with efficient simulation as a mulitbody system. Includes engine, transmission, driveline and chassis models for complete vehicle simulation. Build complex mechanical systems from individual elements such as bearings, shafts, gears, clutches, joints and mounting systems. Evaluate 3D gear mesh forces, bearing loads and losses. 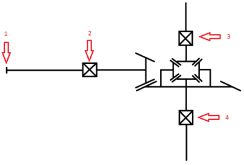 Shafts with a large number of linear and nonlinear compliance characteristics. Longitudinal chassis models with Pacejka tyre slip and simple suspension with pitch and bounce. Compatible with Vehicle Dynamics library, Engines, Powertrain and SmartElectricDrives libraries. 3D Effects (torque reactions, gyroscopic effects etc.). Faster simulation performance than Standard multibody library. Highly configurable with wide range of component fidelity. Mapped based engine model for torque generation, emissions and fuel consumption calculation. Simple engine controllers also included for idle speed and fuelling control. Torque converts, Retarders, shift mechanisms including synchronizers, detents and shift barrels. Powertrain mounts are included with various DOF’s and compliance characteristics. Collection of examples and experiments assembled from examples models from the shafts, joints and differentials packages. 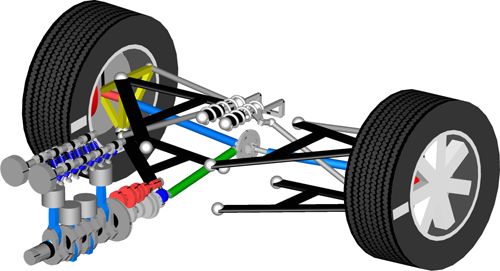 Simple chassis with pitch, and roll Degrees of freedom as well as linear and pacejka tyre models are included for longitudinal dynamics. Various road definitions are also included. Numerous components for modelling torque transfer in a wide range of coupling elements. Wet and dry Multi-plate, Cone, Band and dog elements are all included ranging from simple to complex geometry defined responses. 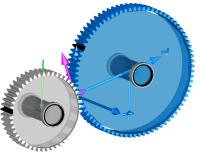 Templates and examples of gear bearing and shaft arrangements for a wide variety of differential arrangements (open and torsen) including slip control devices. Gear mesh models with 3D force calculations with optional backlash, mesh stiffness and efficiency for spur and helical gears. Numerous planetary configurations are also included configurable for different levels of fidelity. Simple chain drive models are also included. 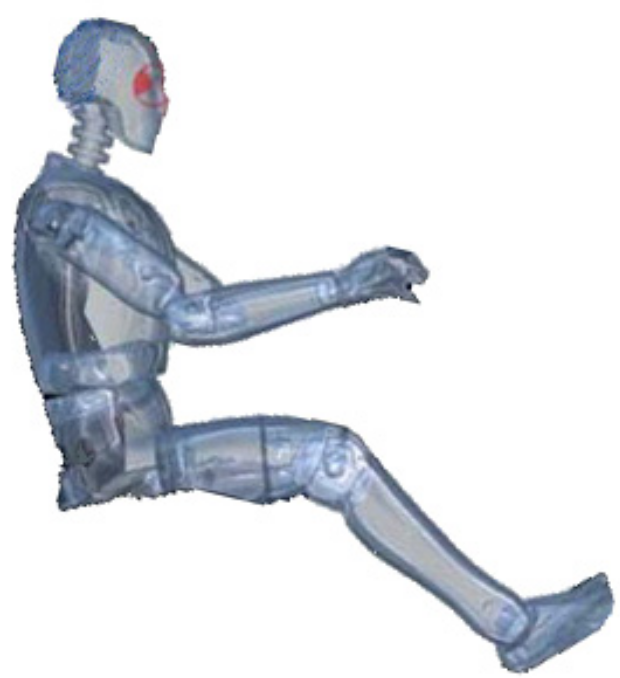 Multibody models of a wide range of joints found within power transmission systems including constant velocity, universal and plunging joints. 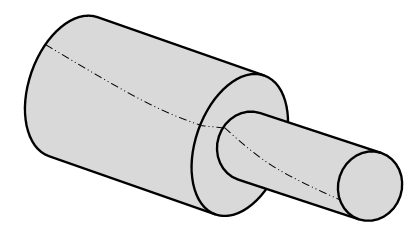 Numerous options for uniform and composite shafts are included with a wide variety of torsional characteristics from rigid and simple linear to non-linear plastically deformable characteristics are included using a computationally efficient MultiBody approach. Linear systems analysis package with functions for natural frequency analysis and plotting. 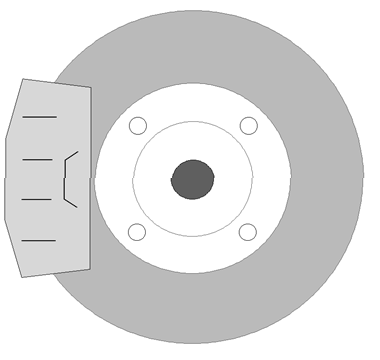 Simple disc brake models are included. Open and closed loop drivers available for drive cycle and simple source manoeuvres as well as specific TipIn and idiot start tests. 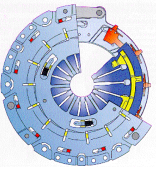 Dempsey M. Roberts N. Predicting the launch feel of automatic and dual clutch transmissions. Munich, Germany: Proceedings 9th Modelica Conference, 2012. Fish G. Dempsey M. Delgado J G. Roberts N. Natural frequency analysis of Modelica Powertrain models. Munich, Germany: Proceedings 9th Modelica Conference, 2012. Dempsey M. Picarelli A. Investigating the MultiBody Dynamics of the Complete Powertrain System. Como, Italy: Proceedings 7th Modelica Conference, 2009. Gillot R. Picarelli A. Dempsey M. Predicting the Effect of Gearbox Preconditioning on Vehicle Efficiency. Versailles, France: Proceedings 11th Modelica Conference, 2015. Dempsey M. Picarelli A. Gillot R. Model-based Real-time Systems Engineering. Loughborough, United Kingdom: Powertrain Modelling and Control, 2016.